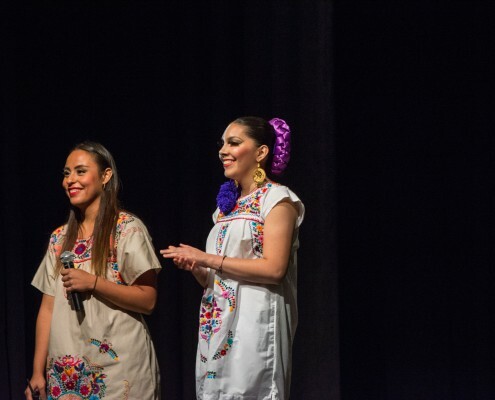 Written by La Gente intern Gabrielle Biasi. 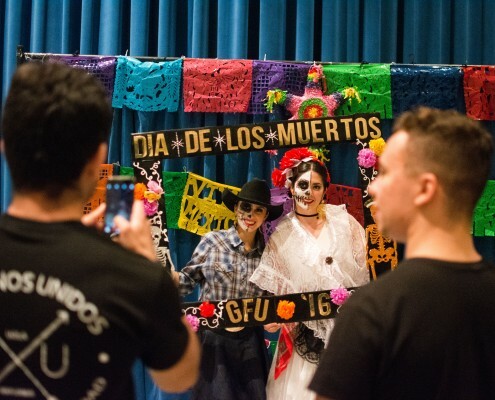 Photos by Gabrielle Biasi. 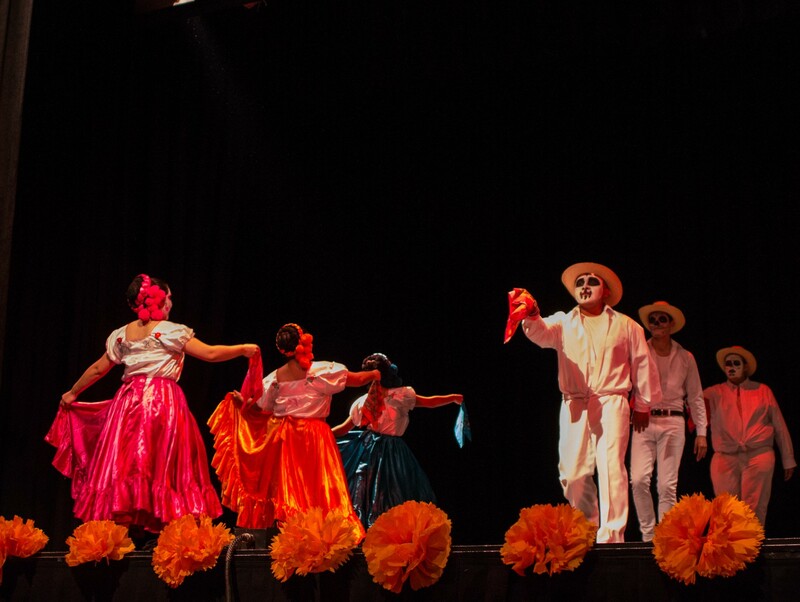 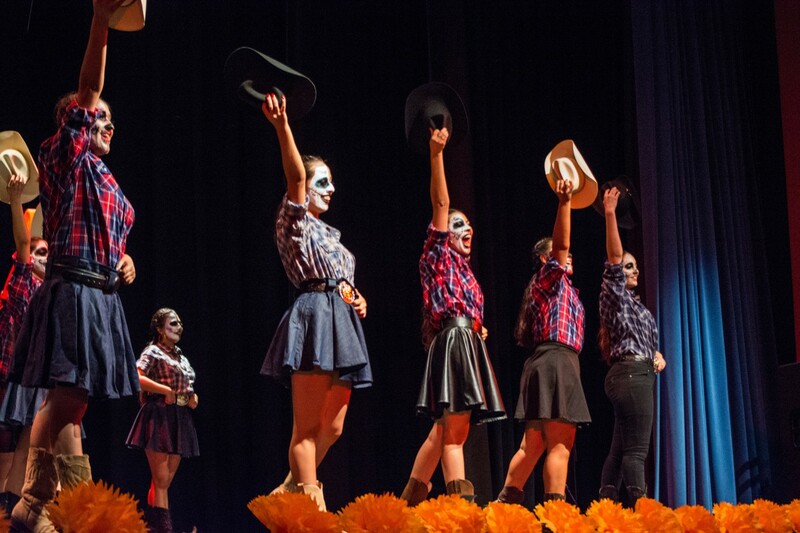 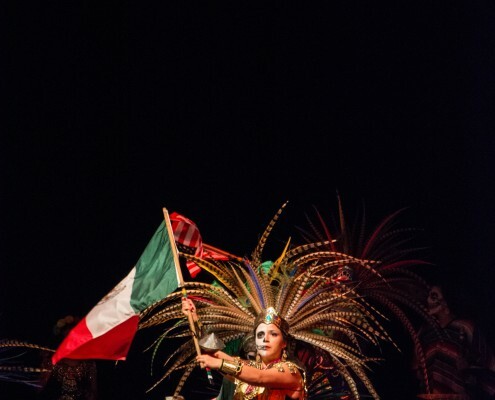 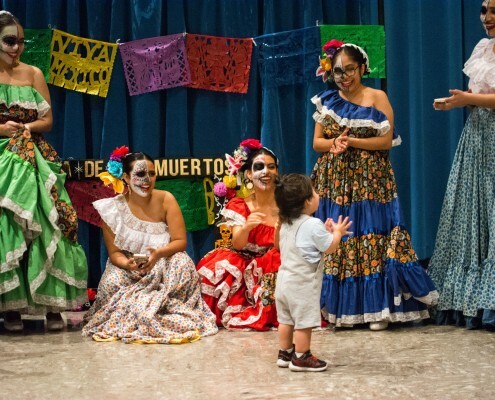 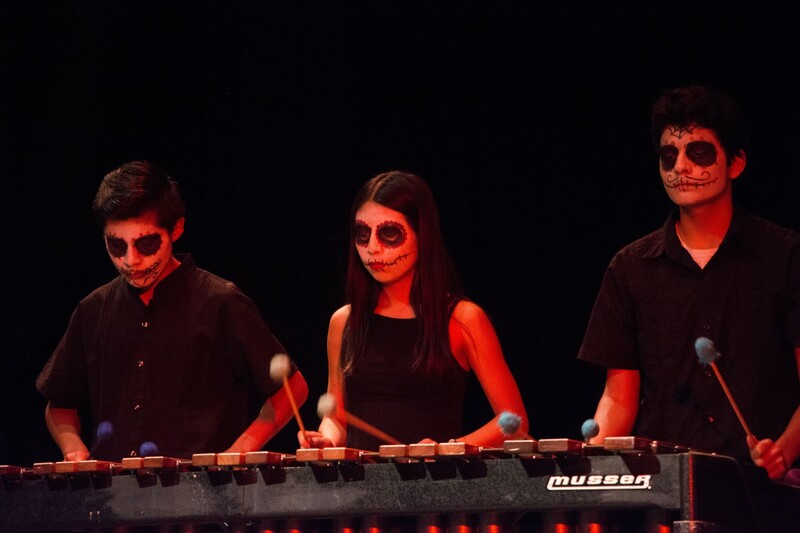 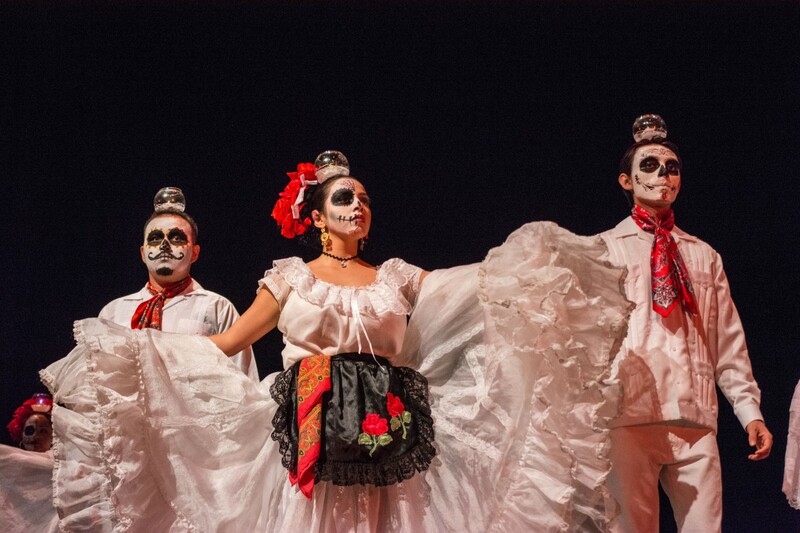 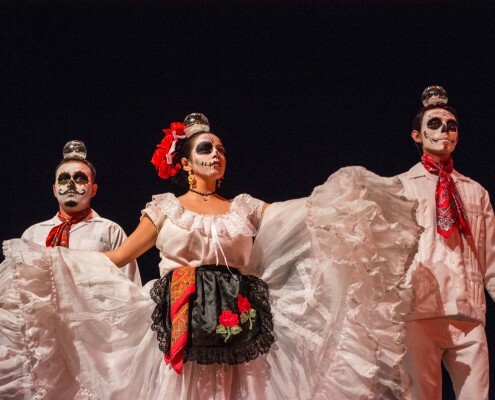 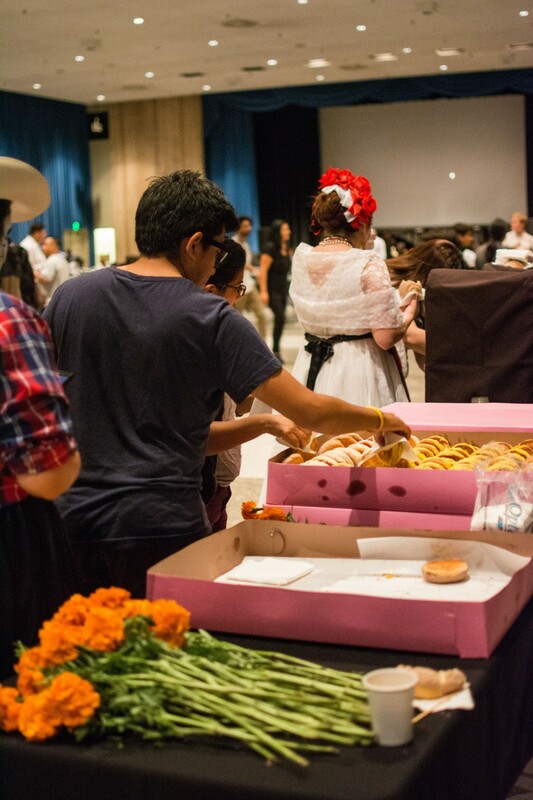 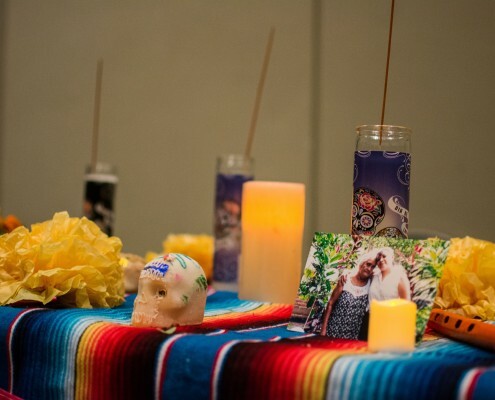 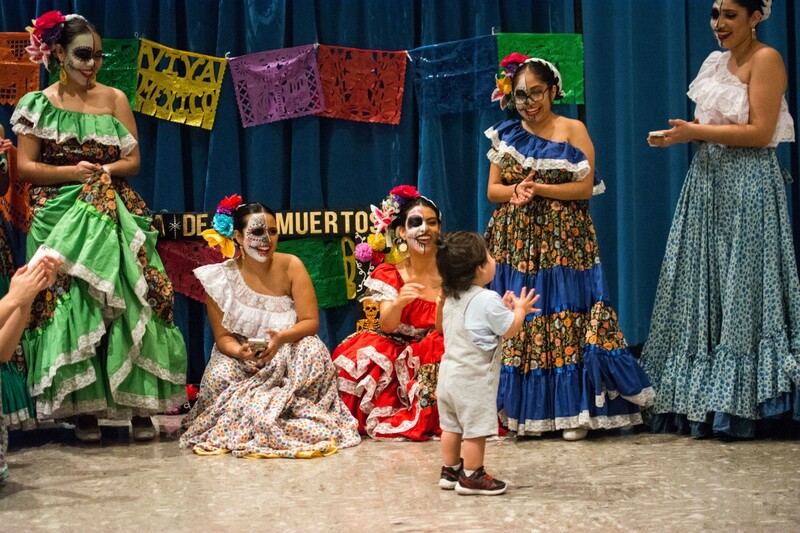 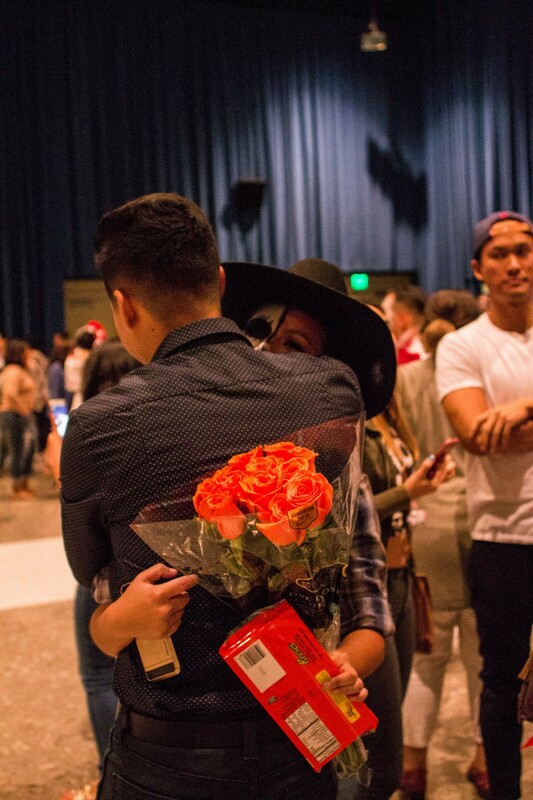 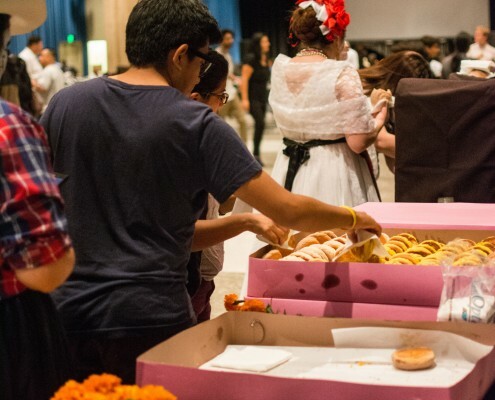 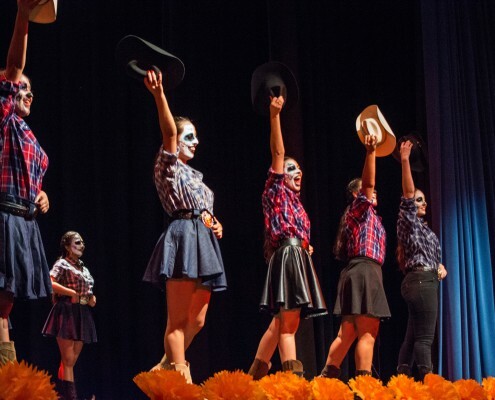 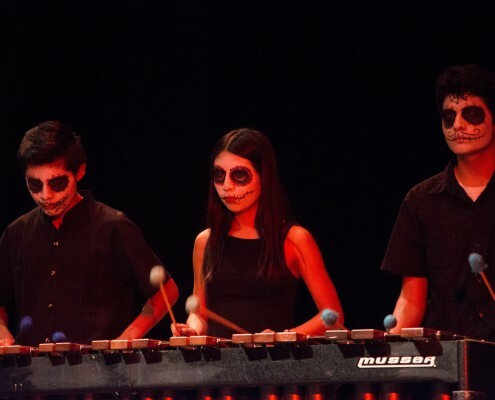 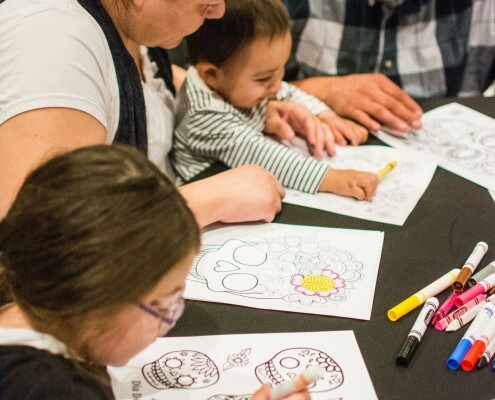 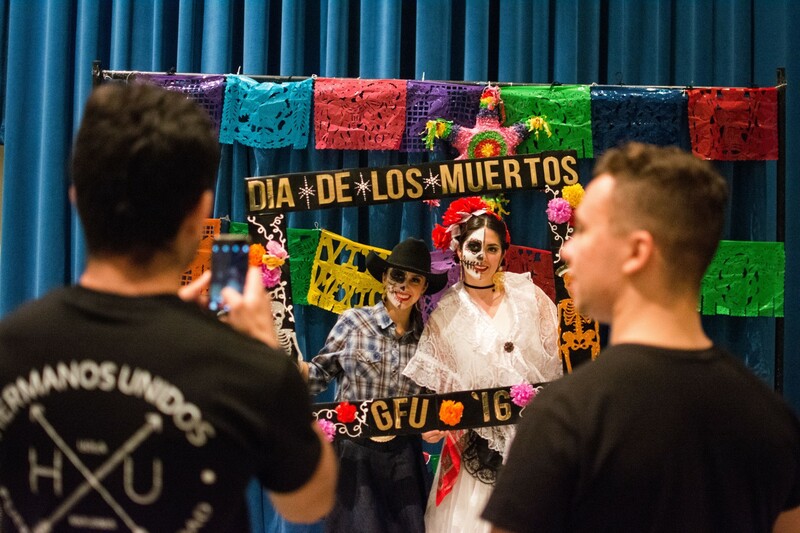 On November 11, Ackerman’s Grand Ballroom was adorned with colorful sugar skulls, saint candles, and boxes of pan dulce in celebración of Dia de los Muertos. 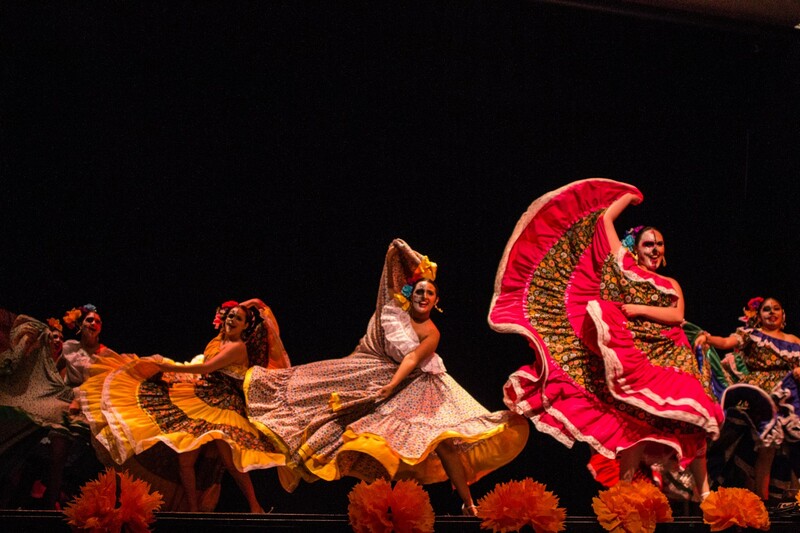 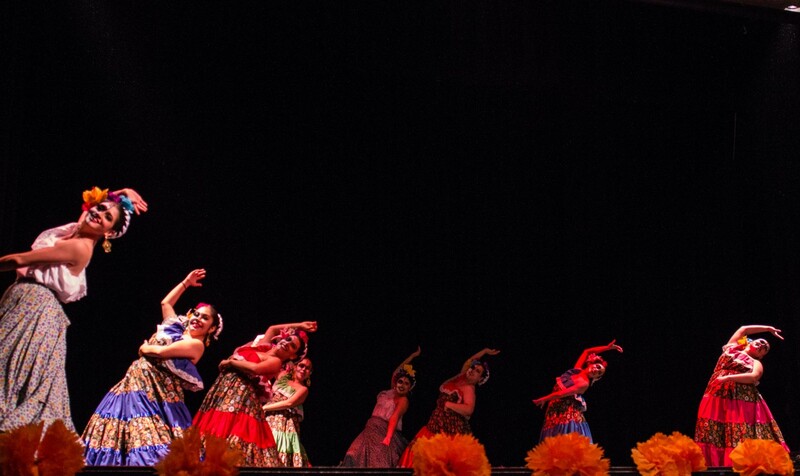 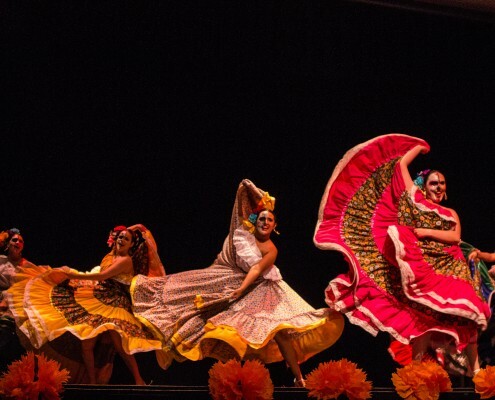 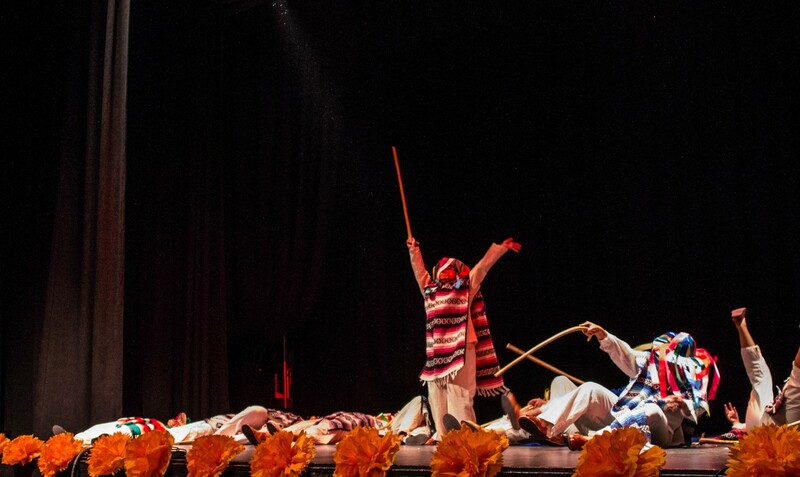 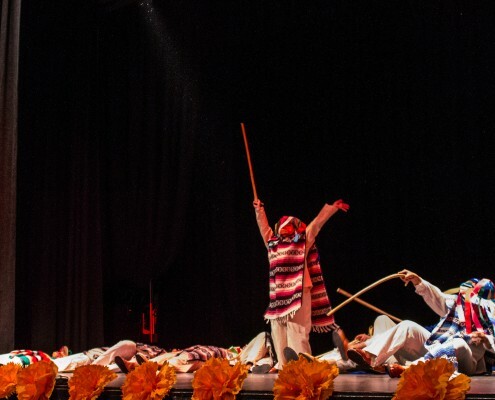 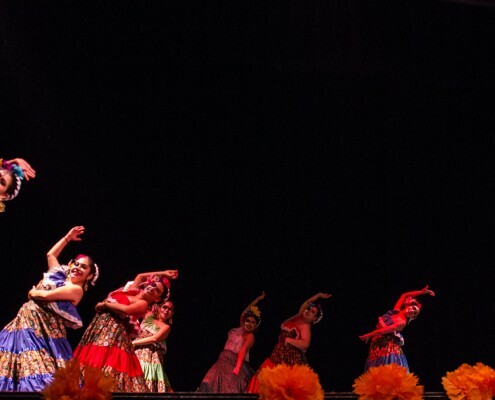 El Grupo Folklórico de UCLA, founded in 1966 and consisting of sixty dancers, performed five traditional Mexican dances: Los Viejitos, Alingo Lingo, La Bruja, El Pato Asado, and Maria Chuchena. 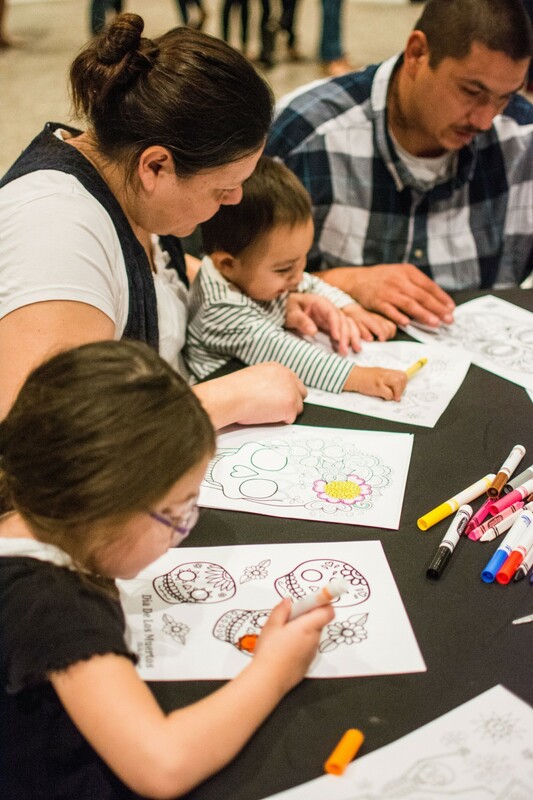 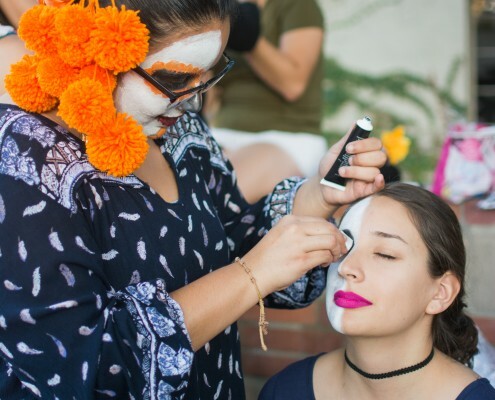 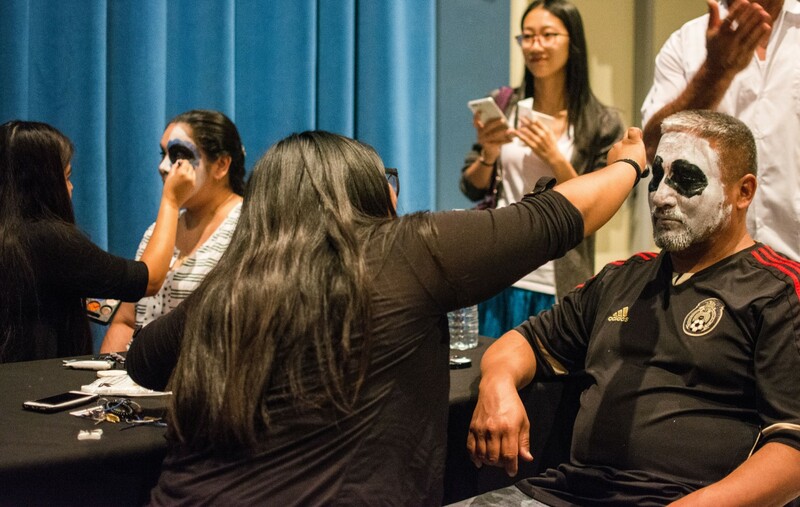 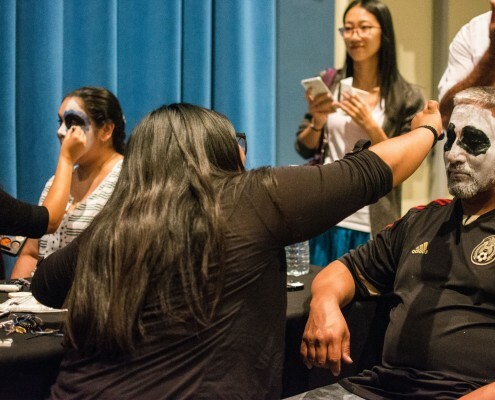 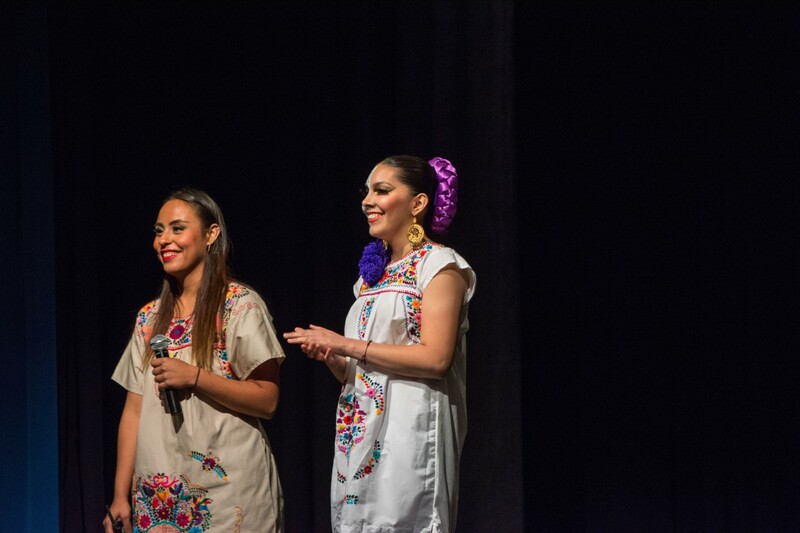 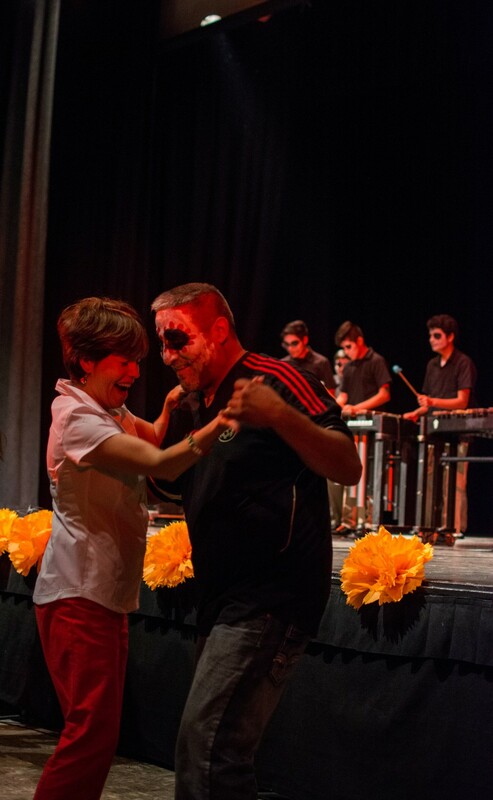 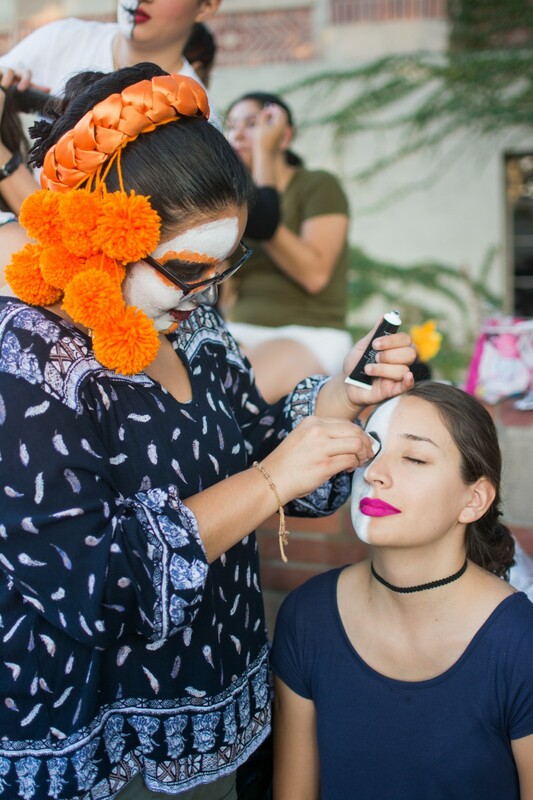 In addition to a live marimba band and aztec dancers, family and friends were welcome to have their faces painted, participate in arts and crafts, and indulge in some delicious pan dulce. 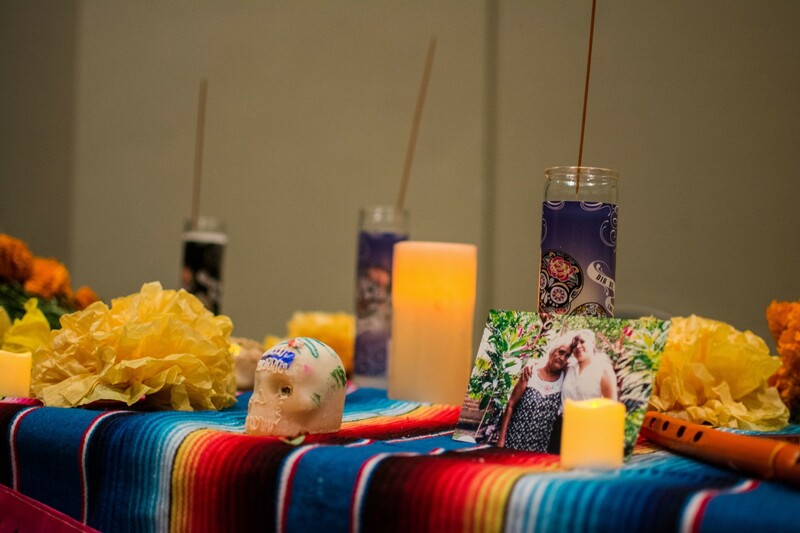 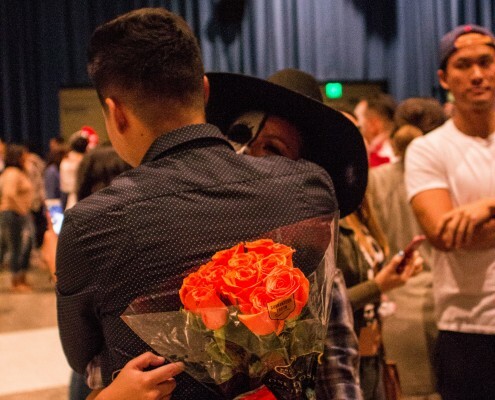 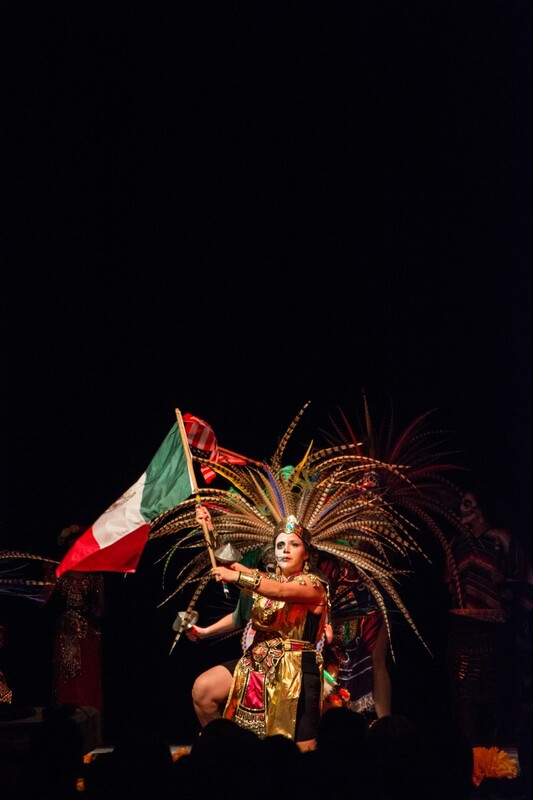 At the heart of the event was a slideshow and altar honoring the family and friends of dancers who had passed, remaining true to the tradition of the celebration.